Last Saturday, I headed over to Boulder for Daniel's first Tenkara Takeover on Boulder Creek where I met some old and some new friends. It was interesting to see how much interest of both tenkara and non-tenkara anglers this event has generated. 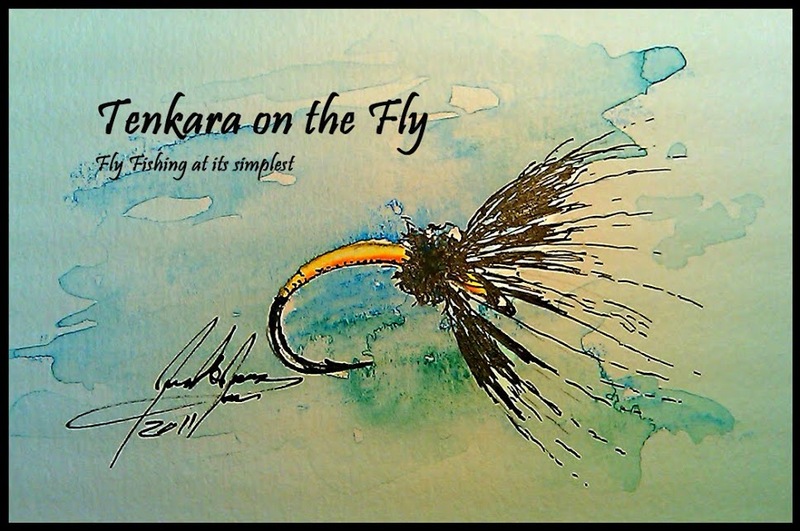 Is tenkara becoming more "main stream"? Time will tell. I spent about 2 hours at the event, fished a bit with the crowd and then decided to head further upstream to find some solitude. It was interesting how each stretch fished differently. Downstream at the Tenkara Takeover, it seemed like easy picking. Then a few miles upstream I spent over an hour with no action whatsoever. No flash, no hit, no strike, nada. So I headed even further upstream where the creek had a significantly different character, much more "tenkara like". It seemed to me the flow was also lower. I wonder if there was a feeder creek I didn't notice when driving upstream. Anyways, in the new stretch, I almost couldn't keep them off the fly. Mostly brown trout from fingerling to nice 10-12" specimens. Once in a while, I would also get a nice brookie. After a while, I decided to move again, I wanted to see if I could finally get a grayling, a fish that so far eluded me. I found a spot that looked promising and caught, of course, a rainbow trout. And it was tiny. I continued to fish and felt something hit my fly down in the pool and sure enough, I had my first grayling on! I was surprised how nicely it fought and how it felt in my hand. The body is much firmer and rougher than the one of a trout. And of course, I loved to see the few "freckles" close to the head and big majestic, purple fin. And of course, it smelled like thyme (the latin name for the European grayling is "Thymallus thymallus" for its scent). My first grayling since moving to the US 13 years ago! Of course, I didn't bring my net and of course, I was very excited to catch a grayling. So excited, that while I was fumbling with my camera, the grayling escaped! I was pretty upset and my only hope was to try to catch another one... which eventually happened! This time I took precautions and was ready to take pictures right away. I continued to fish, headed back downstream to hit a few spots I fished last year and then packed-up once it started to rain for the third time that day. Overall, I was very thrilled how the day has shaped-up - old friends, new friends and lots of fish with a different kind of Grand Slam.